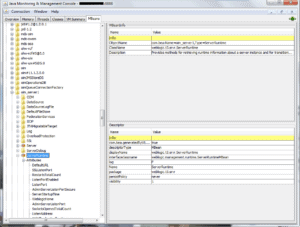 In this Tutorial, I will monitor Oracle Identity Manager’s health state. 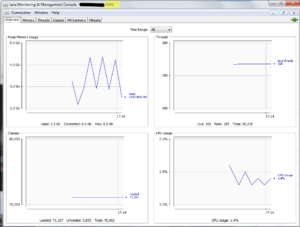 Here we have 1 Admin server, 2 oim server, and 2 soa servers. Step 1: Login to WebLogic console. 1st step is log in to the WebLogic console with Weblogic account. You will get the following console after login. Every server has its “State” = Running. 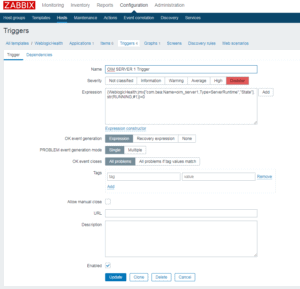 In this Tutorial, we will only monitor the “state” of the server, so if it’s not on“Running” state then Zabbix will trigger an alert for it. Step 2: Edit Arguments of servers. Click on oim server 1.Then click on Server “Start” as per the following image. Click on “Lock and Edit”. Then go to arguments and add the following argument, This will enable JMX monitoring through a specific port. Every server should have a unique port. like I am using port 8888 for oim server1 and port 8889 for oim server2. Step 3: Restart the server and verify JMX connection. After saving the changes restart the oimserver1 from the console. When the server is up, try to verify that JMX connection is working or not. Use JConsole to verify from your PC. Jconsole can be found on the following location. Start the Jconsole and select Remote Process put the servername:port and hit connect. If the connection is successful then you will get the following screen on Jconsole. Click on MBeans and browse it oimserver1 then go to “ServerRuntime”. Under Attributes, you will find “State” click on the state to get its Value. 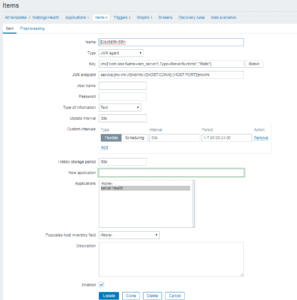 Now login to Zabbix and add the host as shown in the following image. 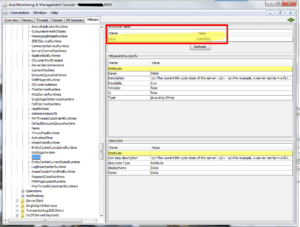 Create ITEM with the JMX Key. Then create trigger as per your requirement. Now the server’s state is monitored by Zabbix.